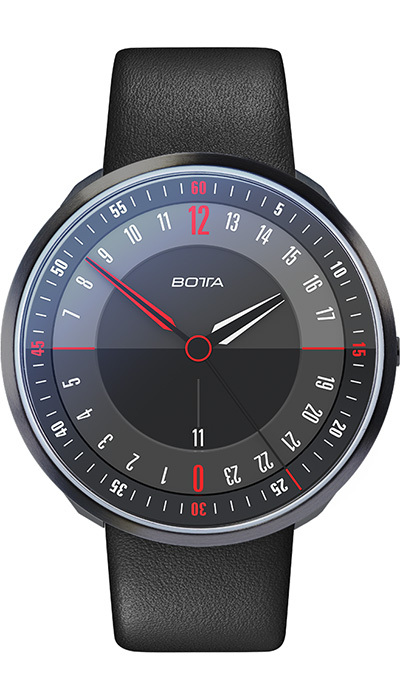 This is the perfect watch for anyone who loves Botta-Design’s 24-hour concept but would prefer the time to be shown in more detail than is the case in the UNO 24 one-hand watch. 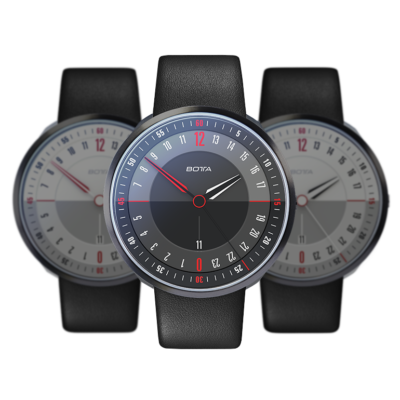 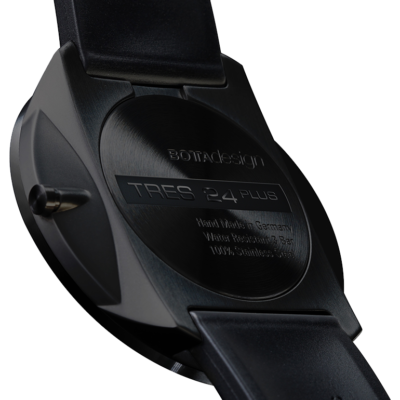 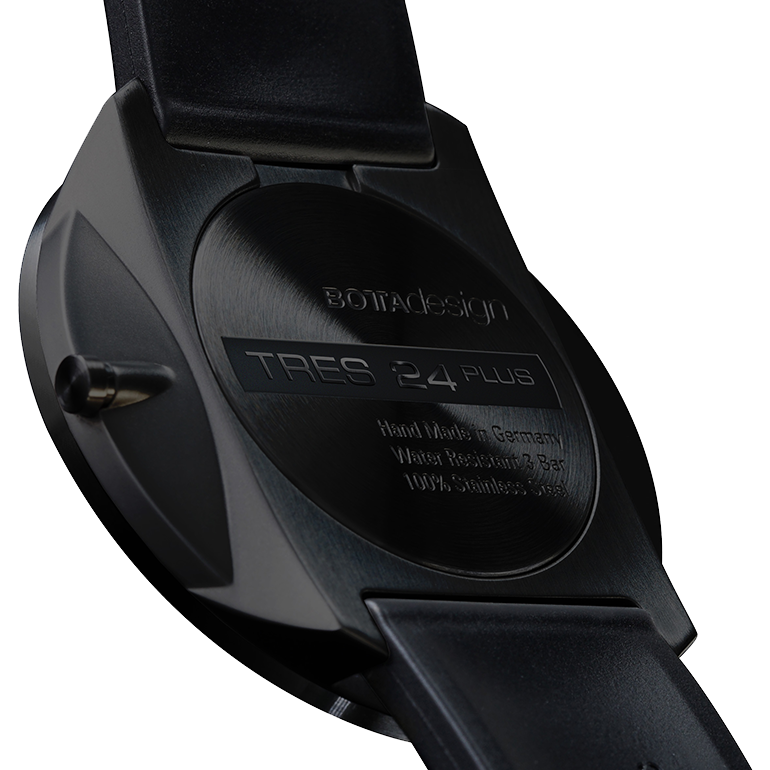 The 24-hour dial has a very logical structure with a day and a night half, and with three different levels for the displays. 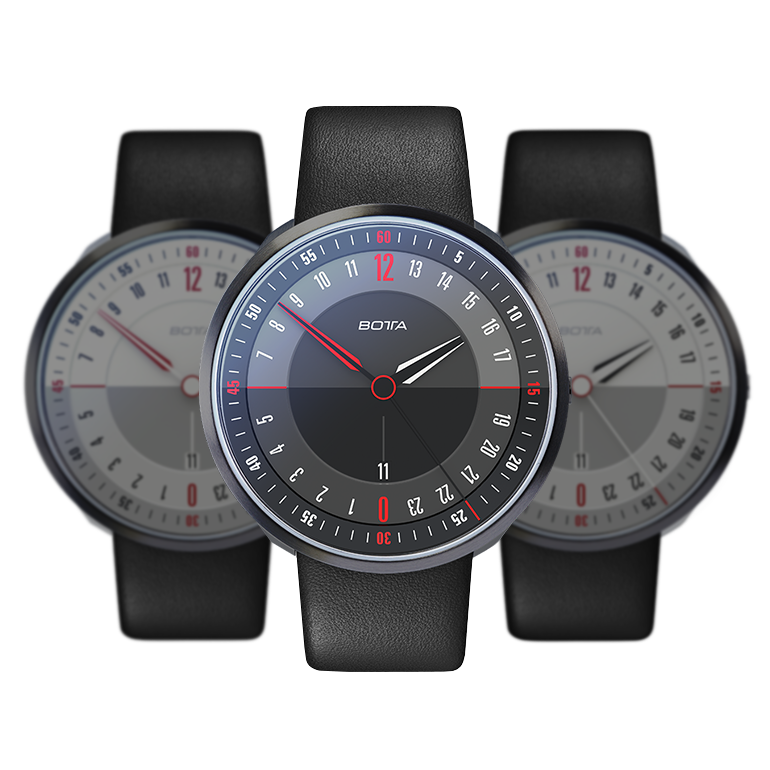 The middle ring shows the 24 hours of the day, while the outer ring breaks the hours down into minutes and seconds.